Welcome Home!This incredibly maintained & updated home-situated on a cul-da-sac. 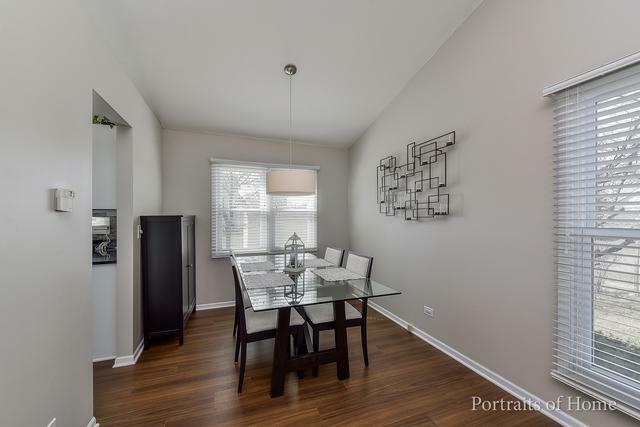 On the Main Floor enjoy brand new flooring throughout, and a freshly painted Living Room with vaulted ceilings. 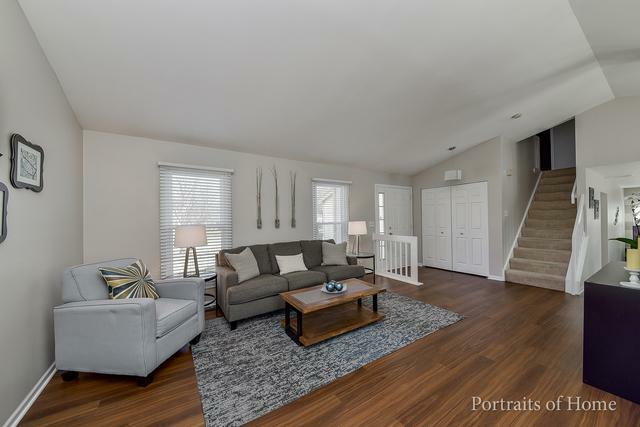 The Main Floor also features an open floor plan that provides easy access to the Living Room, Dining Room, Kitchen/Dine-in Area, and Family Room - ideal for entertaining family and friends. 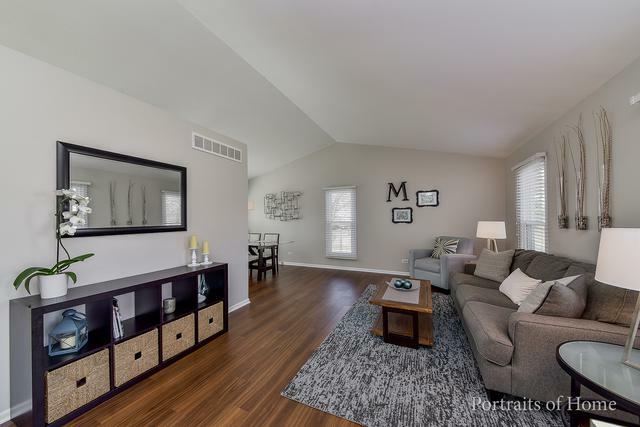 The Second Floor boasts a stunning Master Suite with vaulted ceilings, walk-in closet,& private Bath.The Second Floor also features two additional spacious Bedrooms that share a nicely sized full Bath. 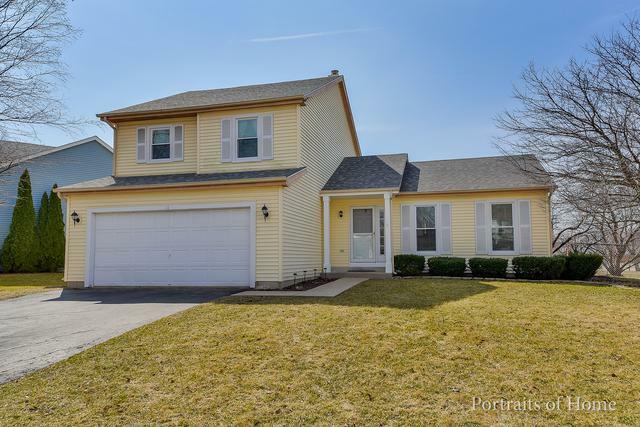 This home comes complete with a finished Basement with additional storage, and fully fenced Backyard with large Patio and lots of room for play. Other updates to this home include newer windows, roofing,& appliances. North/South facing home filled with lots of natural light, and located within 2 minutes of shopping and dining. This truly loved and cared for space is the perfect place to call home. © 2019 Midwest Real Estate Data LLC. All rights reserved. IDX information is provided exclusively for consumers' personal, non-commercial use and may not be used for any purpose other than to identify prospective properties consumers may be interested in purchasing. Information is deemed reliable but is not guaranteed accurate by the MLS or Littlefield Group | Keller Williams Realty. The data relating to real estate for sale on this website comes in part from the Broker Reciprocity program of Midwest Real Estate Data LLC. Real Estate listings held by brokerage firms other than Littlefield Group | Keller Williams Realty are marked with the Broker Reciprocity logo or the Broker Reciprocity thumbnail logo (a little black house) and detailed information about them includes the names of the listing broker. Some properties which appear for sale on this website may subsequently have sold and may no longer be available. NOTICE: Many homes contain recording devices, and buyers should be aware they may be recorded during a showing. Data last updated: 2019-04-18T10:53:12.593.